Launched in 2001, History of Scotland is considered to be the premier Scottish history magazine. 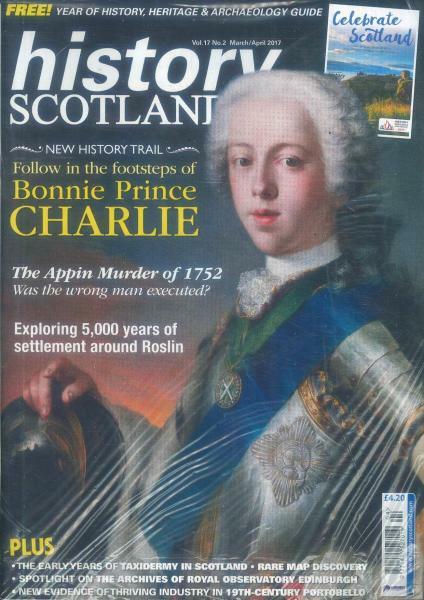 Buy a single copy or subscription to History Scotland magazine. The bi-monthly magazine provides fascinating features on topics from all branches of Scottish history and archaeology. Current thinking, latest research and new discoveries is covered by author and lecturer Dr Alasdair Ross of Stirling university, whilst in depth news,events, book reviews and opinion columns are covered by Scotland’s leading historians.